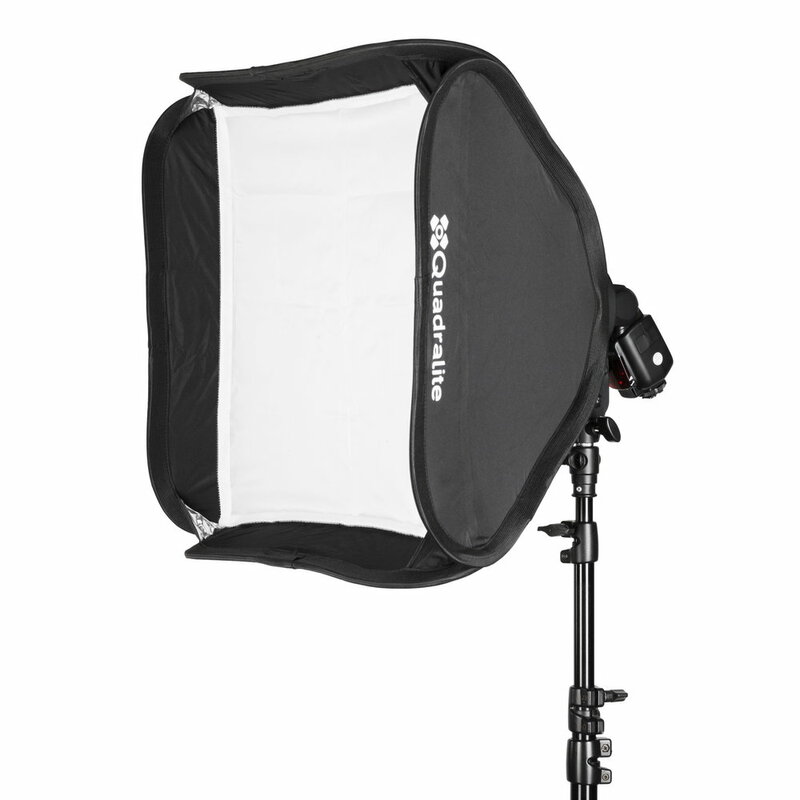 Quadralite Litebox 50x50cm is a light and small transportable softbox fitted with double diffuser and a holder for speedlites which allows to use light modifiers dedicated for studio flashes with the Bowens mount. 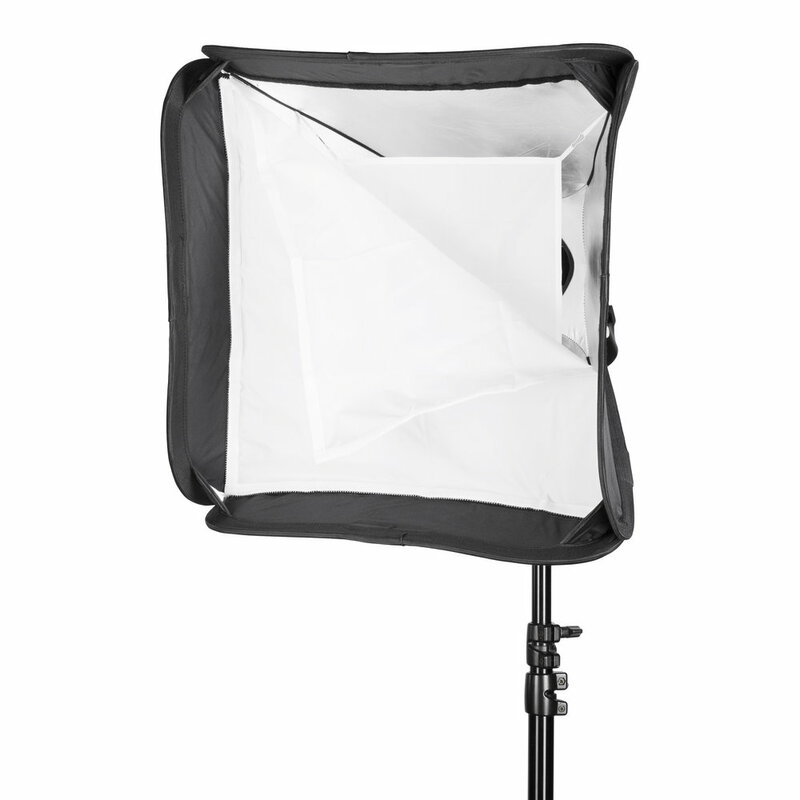 Quadralite Litebox 50x50cm is a perfect solution for people looking for light, transportable and efficient light modifier for their speedlite flashes. 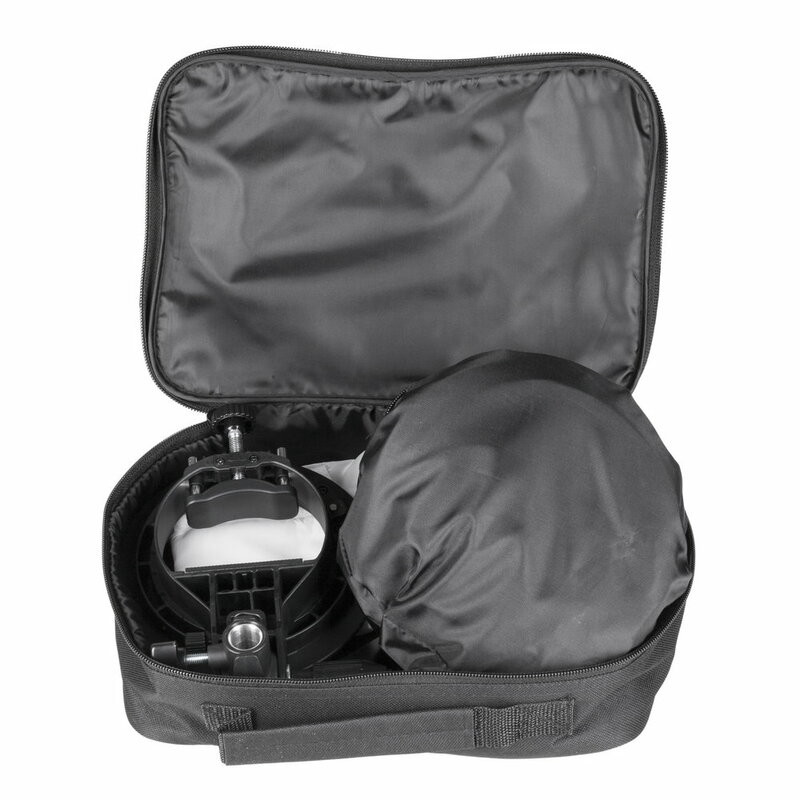 The softbox can be folded into a small bag that is included in the kit, easily transported and used either in a studio or in the outdoors. The device features two diffuser planes, which can effectively disperse flash light. You can use this softbox to generate soft light of superior quality that is unattainable with the use of plastic diffusers. 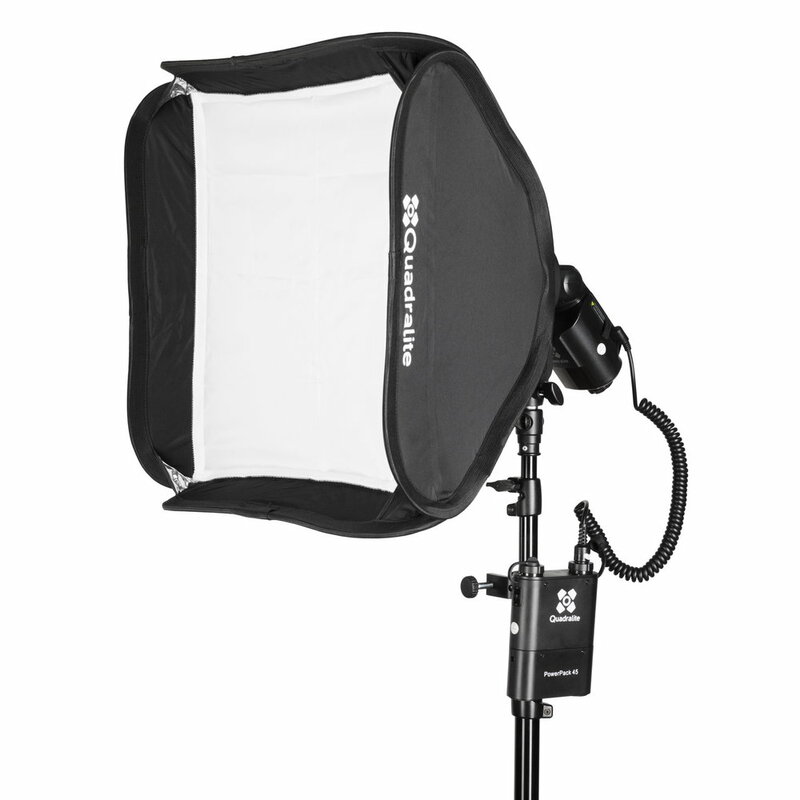 Softbox Quadralite Litebox 50x50cm has been equipped with extremely useful holder allowing to mount a flash with the use of a clamp embracing the head. This solution is much safer, more universal and allows for much more efficient use of a flash than in the case of any hot-shoe mount brackets. It also gives the possibility to easily mount radio triggers directly on flash's hot shoe and helps to forget about any unnecessary cables. 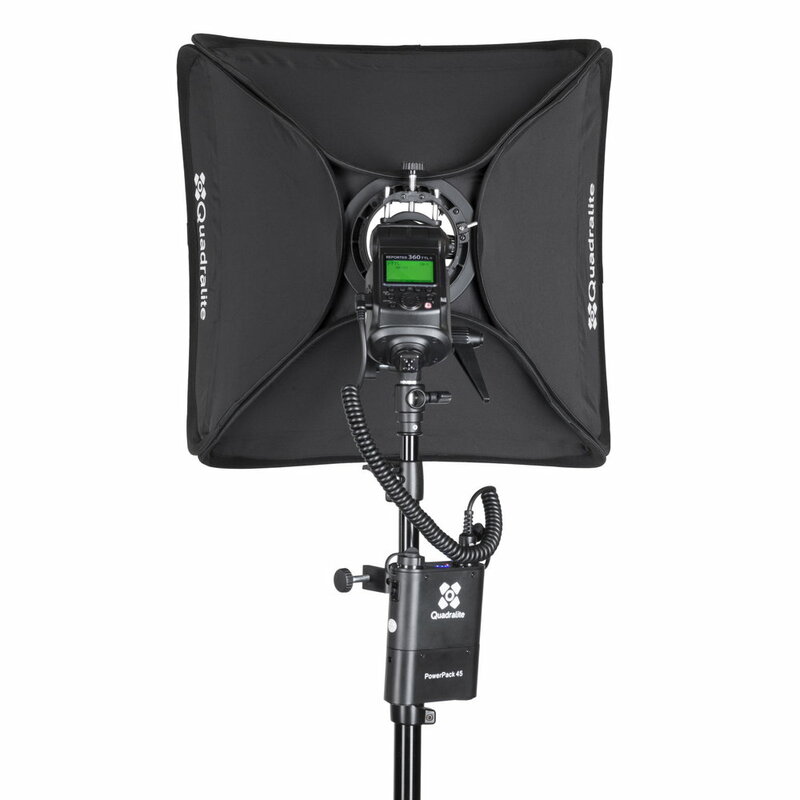 Another important feature of the Quadralite Litebox is that it not only facilitates using a softbox included in the kit, but also allows to take advantage of lamp modifiers dedicated for studio lamps with Bowens bayonet or different type of accessories (Quadralite Litebox holder is able to hold softbox up to 120x80cm or octobox 95 cm, use of larger light modifiers is not recommended). Aside from the above, the holder features an umbrella mount and angle adjustment. The entire device can be mounted on a standard studio tripod.